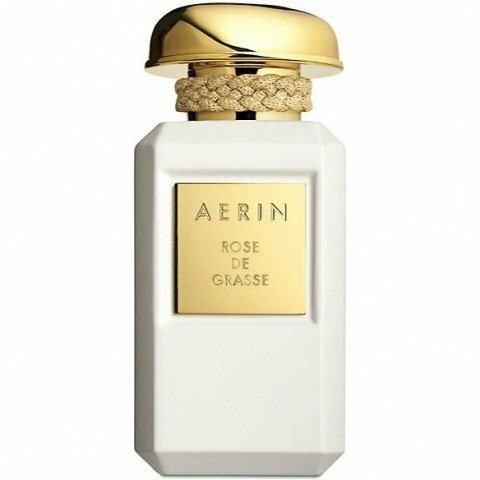 Rose de Grasse (Parfum) is a popular perfume by Aerin for women and was released in 2015. The scent is floral-fresh. It is being marketed by Estēe Lauder Companies. ROSE DE GRASSE is a successful rose perfume that is wonderfully based on the original, true roses. It actually smells exactly as I feel it when I smell a Rosa Centifolia or a Damascena rose (Bulgarian Rose-Otto) in the evening, as soon as dew wets the flower, namely soft buttery, mildly soapy, a little malty, slightly sweet, light and very slightly fresh-citric. The perfume is particularly finely balanced, noble in its effect and also indescribably pleasantly fragrant in its creaminess. ROSE DE GRASSE wraps the wearer and everyone close to her with soft notes... because everything about this perfume seems to be ROSE, pure rose from the calyx to the leaf green, twigs to the root. That's what makes it so unique to me. There's nothing that wants to interfere and get involved. A real rose does not need this either, because it is extremely rich in fragrances in itself. If you touch the petals of a rose and rub them gently, you will feel its silky smoothness and typical coolness. And it impresses me that this feeling is reflected in the perfume. But that's not all: the bottle is also elegant, very pretty and looks elegant. I'm amazed that anyone could even create a rose perfume like this. It's like a little miracle of scent... My admiration goes to Aerin Lauder, the granddaughter of the famous Estée Lauder. I close with a quote from Capability Brown, the famous 18th century English landscape architect who said, "Rose gardens are designed with the poet's sensations and the painter's eyes." It seems to me that the design of a perfume, especially of such a perfume, is based on similar sensations and sensual expressions. The perfect rose has been found! I’ve tried and really liked with AL’s Evening Rose so it shouldn’t have been that surprising that I fell instantly in love with Rose de Grasse. Looking at the notes pyramid this seems like yet another amber-rose creation. Even though the formula itself is not groundbreaking, I'm quite shocked as to how unique this perfume is amongst its counterparts. To give you an example of my relevant taste range, I enjoy fragrances such as JM Red Roses, SL La Fille de Berlin, YR Rose Absolue, SM Stella (original formula), JHAG Miss Charming, TPW Tea Rose, Paul Smith Rose, Molinard Rose, Caron Delire de Rose, etc. Upon first spray, I was expecting the dreaded aquatic notes (don’t like them). But thankfully, they were nowhere to be found. Those who would like watery notes to accompany their roses may want to steer clear of this and proceed to lighter formulas such as Especially Escada, Yves Rocher Pur Desir de Rose or perhaps Issey Miyake L`Eau d`Issey Florale. Compared to a photorealistic rose like TPW Tea Rose, Rose de Grasse is much less green but compared to JM Red Roses, it’s much less linear because it’s a much more multifaceted creation. Initially, there’s an intensive, delicious musk. Then, in all but 5 minutes, the roses are in full-bloom. These blossoms are voluptuous, vibrant, and expansive – and yet somehow evade being overwhelming or aggressive. I can almost taste these velvety red rose petals on my tongue! This is not a gourmand or sugary fragrance by any stretch of imagination but it is so skillfully done with such fine quality materials that my nose interprets this juice as completely edible. After about an hour I can smell faint amber & musk but these notes take a back seat and only serve to anchor this glorious flower to my skin. Another bonus: The projection & staying power are so outstanding that this fragrance walks at least a foot ahead of me and stayed on my skin for 12+ hours, passing the difficult “overnight test”. In conclusion, I see Rose de Grasse as a masterpiece, the absolute perfect rose. I recommend this to all rose-devotees, who owe it to themselves to test this beauty on their skin at least once. I’d also recommend it to those who, like me, lamented the discontinuation of the original Lancome Mille and Une Roses. This is a very decent and albeit less-ambery substitute for it. Write the first Review for Rose de Grasse (Parfum)!